Great Leaders make great things happen for the best. It's heartwarming to experience such genuine empathy. Great Leadership is when you care more than you say, you lead to achieve, you walk behind, you lead to achieve to create future Leaders. 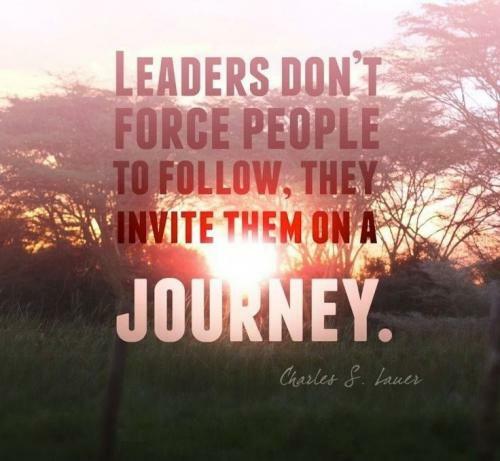 Leaders don't force people to follow. They invite them on a journey. Managers hire you to fulfill a position. Leaders inspire you to fulfill a vision. The ability to track when facts contradict beliefs is a governing dynamic of leadership growth. In these moments you have the choice to defend your view, or change it. If you choose not to notice these moments, you choose not to have the choice. Decisions are always made based on assumptions; therefore, a responsible leader is always looking for where their beliefs might be wrong and watches for their own defensiveness as a clue. The people who are mentally strong are the strongest. You can call them natural-born leaders if you want. 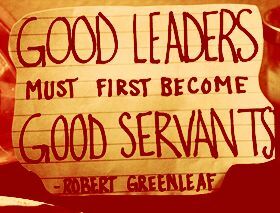 Leaders are people who spearhead any group of people. Leaders lead from the front and are generally appointed as heads of a group because of their qualities or virtues that set them apart from their subordinates. A leader must possess all the qualities of a leader primarily leadership. A leader must bond well with his subordinates and understand their psyche personally. The bond between the leader and all those who are under him is very instrumental.